The days are getting colder and darker. I feel like I want to hide in my bed for few months and wake up in Spring. Autumn is not my favorite time of the year, unfortunately. In our last photo session for Rafa-kids I wanted to bring a bit of sunny and comfortable atmosphere inside our studio. 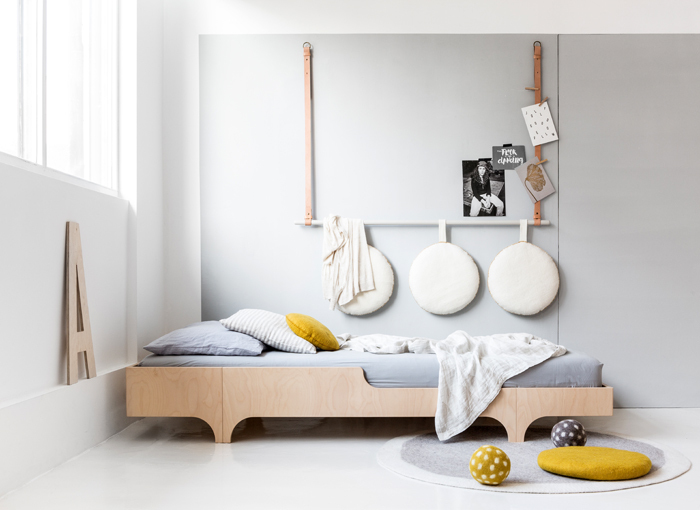 A teen bed in natural wood is complemented with soft natural tones of white, grey and just a bit of mustard. Perfect cozy corner with modern simplicity style. I discovered the Nomad Felt cushions some time ago, and I knew how I would like to use them. 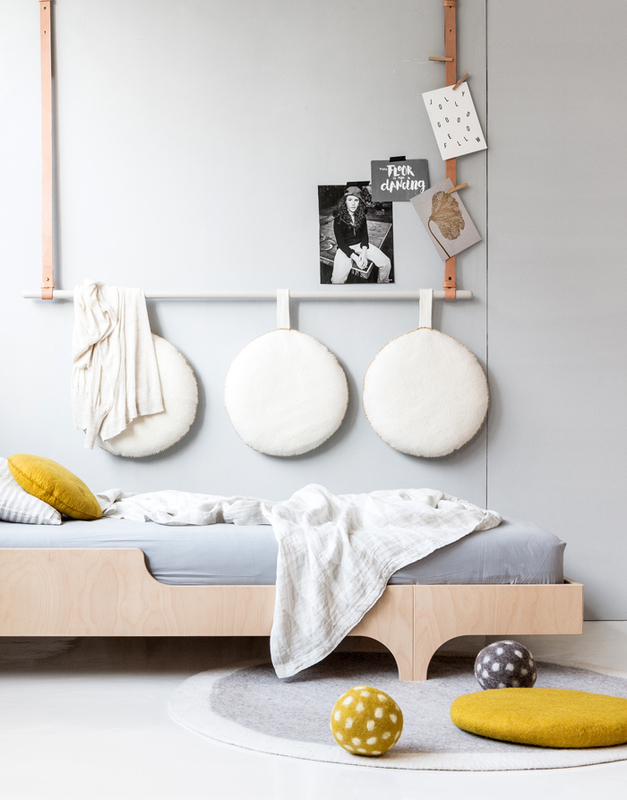 Create a playful headboard above Rafa-kids bed. 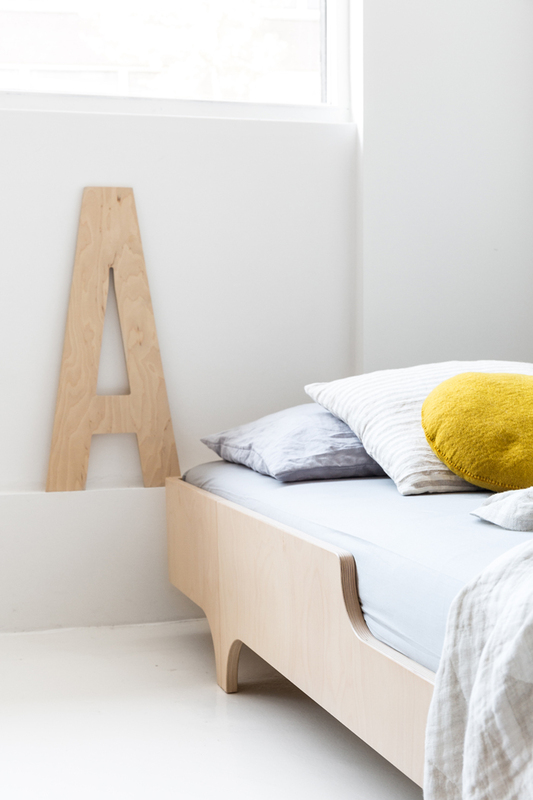 Most of the headboards available on the market are a bit boring to use, and I wanted to have something more playful and fit our style. 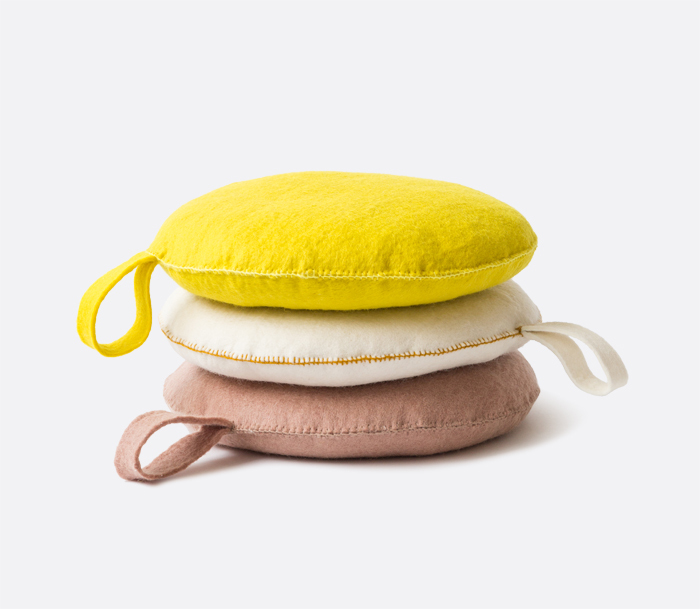 Nomad felt pillows are strong enough as you lean on them. It is also easy to hang them and take them off if you would like to sit on the floor. 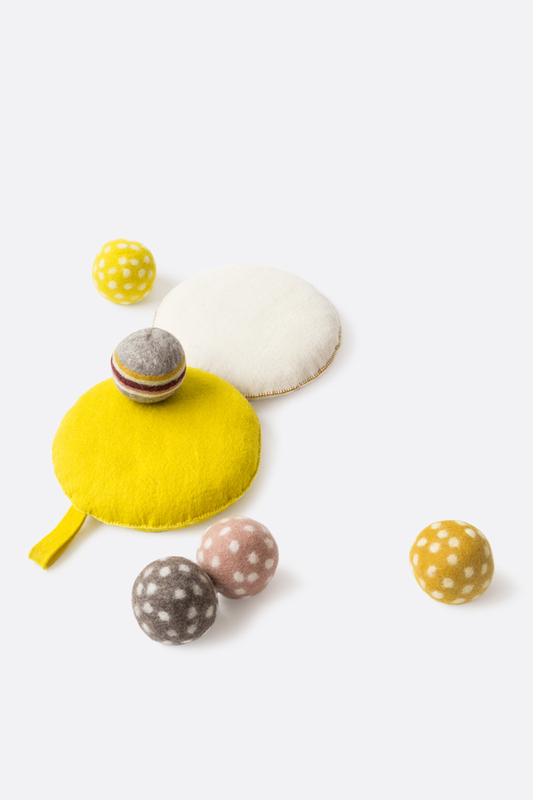 Please welcome in our collection the beautiful New Felt balls - which will cheer up your mood. A small imaginative ball fits so perfectly into your hands, and oh yes into the hands of your child. We hope you like our cozy room for this dark autumn evening.